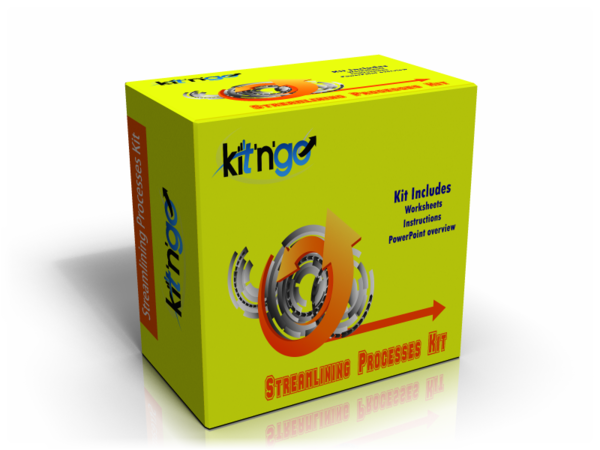 Streamline your business processes; increase profits, speed and customer satisfaction with this kit. Do you want to streamline your business processes, make them work faster and with fewer complications? Mapping a process can be a relatively straightforward affair. With the right tools and a small amount of guidance you can quickly pinpoint where the opportunities are to improve how your business processes work. A good process review will allow you evaluate the individual process steps so that you can make an informed decision as to what needs to be focussed upon for improvement. Whether your business processes are manufacturing, service, administrative, or something else, this process will work for you. This kit is based on many practical streamlining projects, the tools themselves have been modified to be more effective at doing this and can help you to quickly perform the analysis you need on your own business processes. These are the same tools that I use with my clients when delivering consultancy projects to improve how a business' processes are operating. One client reduced their two week process down to less than half a day by using this same approach. The kit includes a PowerPoint presentation (if you are intending to run this as a workshop activity within your own business) and written instructions to help you get the most out of these tools. The tools will help you achieve results, whether you are new to this or have done something similar many times before. ...you are looking to take away the complexity of a process. ...you want to reduce the time a process takes. ...you want to reduce the cost of a process. ...you want to improve the quality of a process. ...you want to get 'more for less' from your processes. This is a tried and tested improvement method and can help businesses of all shapes and sizes to improve how their processes work.